Total Outlook Converter was developed to save your time, energy and money. It presents a brilliant array of functions, which allow you to automate conversion process. All work is done by the program itself. All you do is sit and watch and make minor adjustments. Batch function allows you to process a multitude of Outlook messages without any risk of loss or corruption. 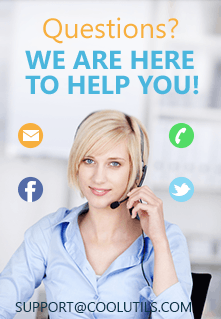 Therefore, you can use this program to archive your business correspondence. 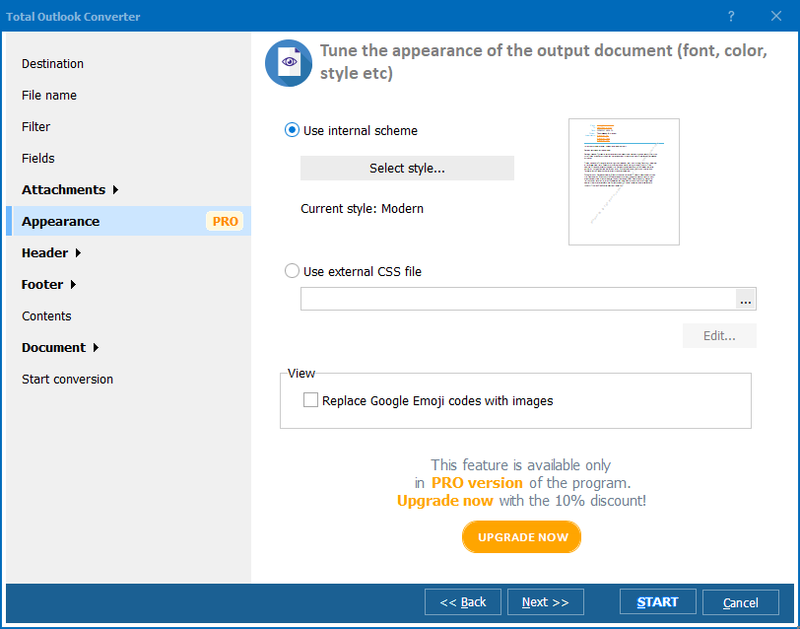 This converter is good for those who use OpenOffice instead of Microsoft Office. With Total Outlook Converter, you can convert Outlook to ODT and other formats (PDF, TXT, RTF, TIFF, HTML, XHTML). You do not need to be lectured on how to do that. Just view the interface and follow it. The wizard presents an array of settings, which you can adjust according to your preferences or leave as they are. 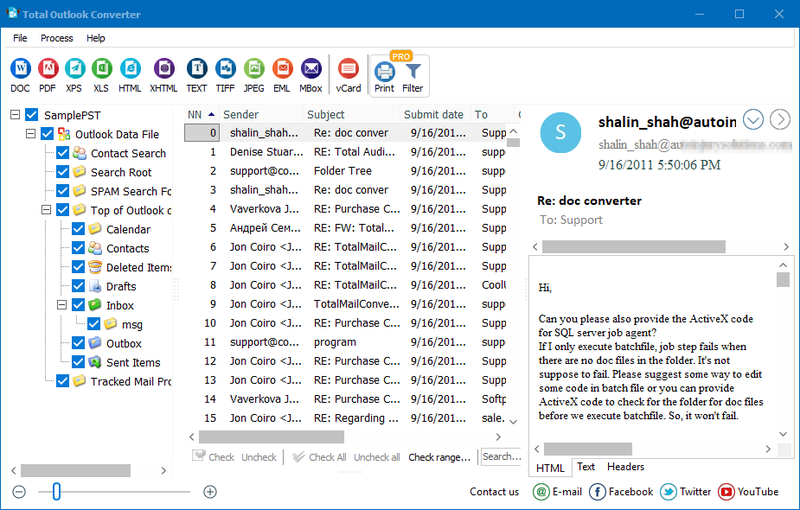 Run Total Outlook Converter and view the folder tree. Find the folder with Outlook messages and mouse-click it. In the list of Outlook messages showing up, check particular messages. If you are converting Outlook to ODT in batch, press "Check All". The program will check all the files automatically. Set the destination path for your ODT files. Open the "Fields" tab and set this Outlook converter to export fields, which include Sender, Recipient, Body, Subject, Date and CC (Copy to). 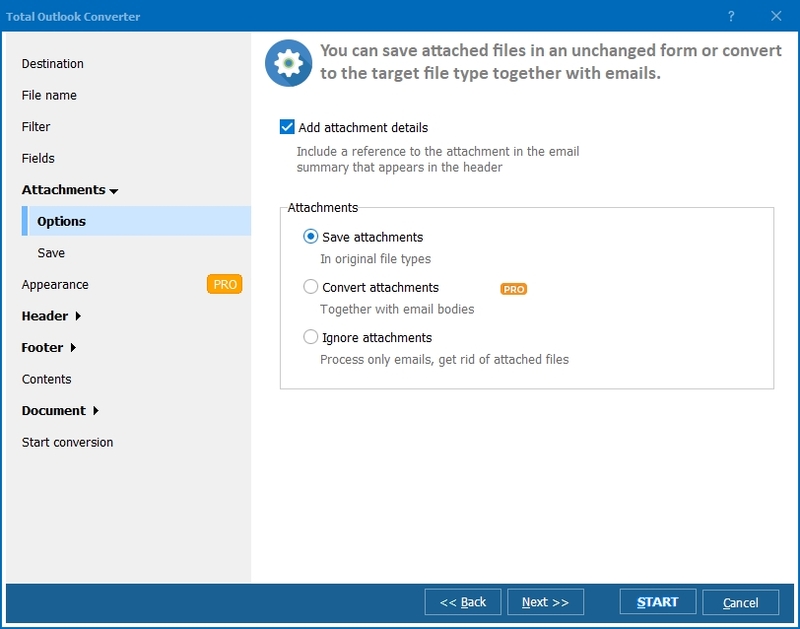 Open the "Attachments tab" and set the converter to process attached files as required. There is a choice of options, which you can switch on/off by checking/unchecking them. Set appearance for your ODT files using internal scheme or external CSS file. Shape your documents using different paper size, paper orientation, margin options, etc. View the "Start Conversion" tab and check the settings once again. You can go back to any of them if necessary. Press "Start" to process your Outlook files. Download this converter from our official website and check its functionality right now!